Metal cylinder set for demonstrating density investigation and specific heat experiments. This beautifully crafted set contains six cylinders, 38x9.5mm each. 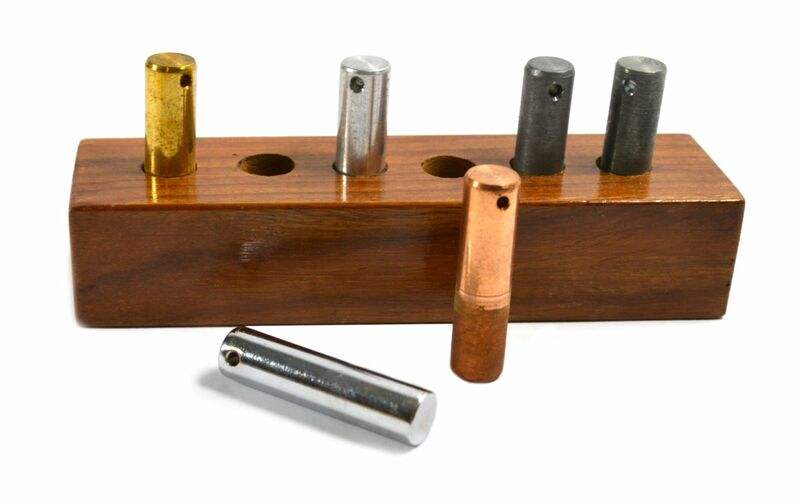 The set is comprised of lead, copper, brass, zinc, iron and aluminum and comes in a premium wooden block for storage and display. Great for the classroom and home. Use for the study of specific heat across a spectrum of objects by determining the amount of heat required to elevate the temperature of an objects mass by 1 kelvin.